Selecting a manufacturer for sanitary pumps is a crucial aspect because we are talking of quality here. 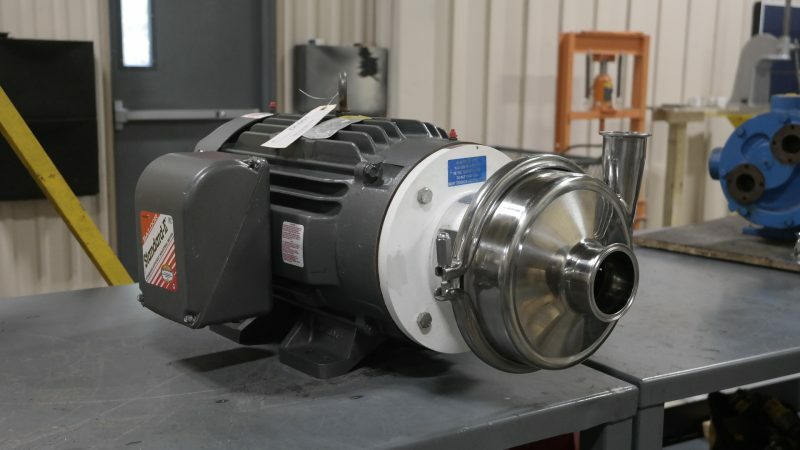 Since these pumps do some of the basic operations in respective industries, you want to be sure that the products are 3A & FDA compliant and have been designed for performance. It is also important to think of the pricing, because sanitary pumps are investments for the long run, and you need a company that not only sells these pumps but also offers considerable assistance for maintenance. The best sanitary pumps are produced in special plants that are ISO certified. If you are working with a manufacturer for the first time, consider the range of products they have on sale and make sure that they are ready to dispatch pumps as required. Ask them about their technical expertise, regular clientele and if they have worked in your industry in particular. It is also a wise idea to get an estimate, but costing alone shouldn’t be the only reason to select a sanitary pump manufacturer. The good thing is many manufacturers have their brochures ready on their websites, so you can find all the relevant details before approaching for an estimate. Lastly, check if the company is readily around for replacement parts. With sanitary pumps, you have to be cautious because these pumps handle liquids and can be pro-corrosion. Get an estimate, find more about their overall production standards and ask for references before you place the first order with a manufacturer. The right set of sanitary pumps can be a huge advantage for your business, and you would want the best returns from the investment. Check online for manufacturers now! Convert Art Into Special Designs For Your Personal Space! How The Modern Businesses Are Targeting Quality Assurance! Can you take OSHA classes online? © 2019 - Biznis Plus. All Rights Reserved.